UPDATE: Mask designer Ray Bishop posted the finished product on his Facebook page. You can see additional angles there as well. 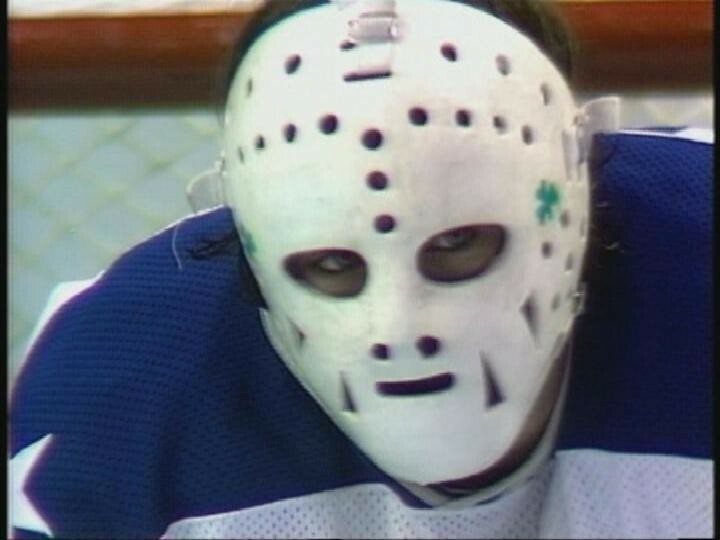 The mask, designed by Ray Bishop, who also did Miller’s 2010 mask, essentially updated the look from Vancouver. 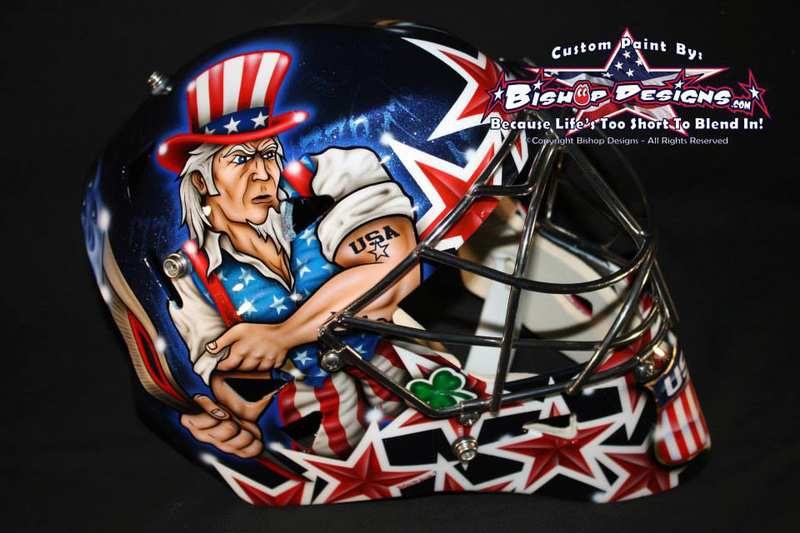 The new mask features Uncle Sam rolling up his sleeve, holding the Olympic torch and looking rather menacing, just like 2010’s. The background is a darker blue than the icy blue Miller had last time around though (comparison below). Another difference in Miller’s new mask is the chin plate, which featured the Olympic rings and Vancouver logo in 2010. 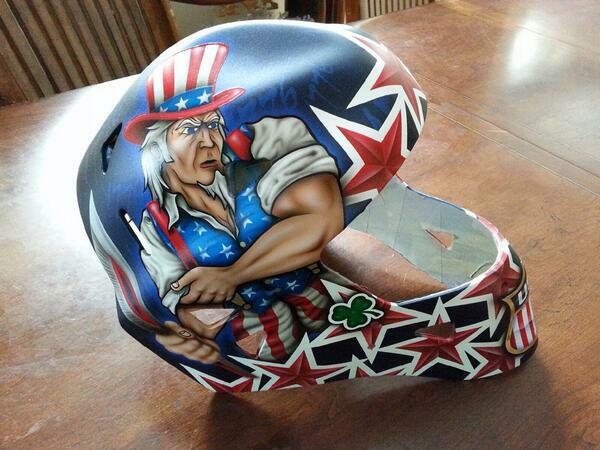 The 2014 mask features the only good thing about Team USA’s jerseys, and that’s the sharp loking USA shield. 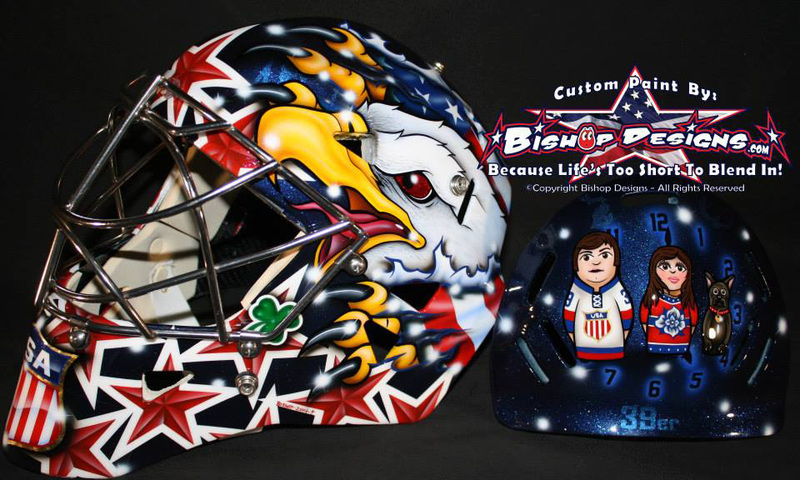 UPDATE: Here’s a look at the left side of Miller’s mask as well as the back plate via Bishop’s Facebook page. It’s basically an updated version from 2010, but the bald eagle is ripping through to reveal an American flag, which is a new touch. It looks absolutely awesome. The stars on the chin really pop this time around and add some depth to the mask. The backplate gives a nod to Russian culture with the popular nesting dolls pattern. The dolls are of Miller, his wife, actress Noureen DeWulf, and the couple’s dog Puck. A nice personal touch. The clock behind them is set to 5:01, which Bishop says is a nod to “Miller Time,” the text of which Miller almost always has on his back plate. You may recall in 2010, Miller was told he had to remove “Miller Time” spelled out on his mask because of the corporate connotations with it. It was covered with a USA sticker at the last minute. Really clever idea to get around it with 5:01 on the clock. Also on the back-plate, you can faintly see the outline of Miller’s home state of Michigan and on the right, it is the lizard silhouette that Miller has had on most of his masks. Years ago, Bishop explained the lizard was a nod to Miller’s philosophy to not think, but react. 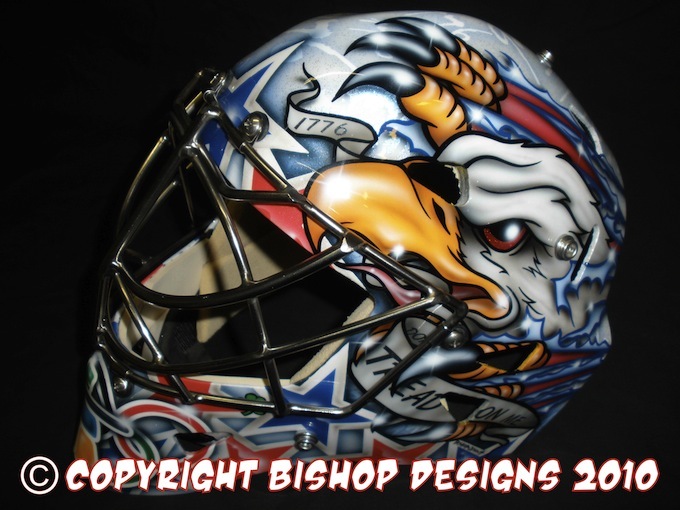 Here’s a look at the left side of Miller’s mask in 2010 for comparison’s sake. Both masks included the faint 1776s on the right side, while taking away the banner of don’t tread on me from the Eagle’s mouth. The color scheme and the personal touches really add a lot to the 2014 bucket. 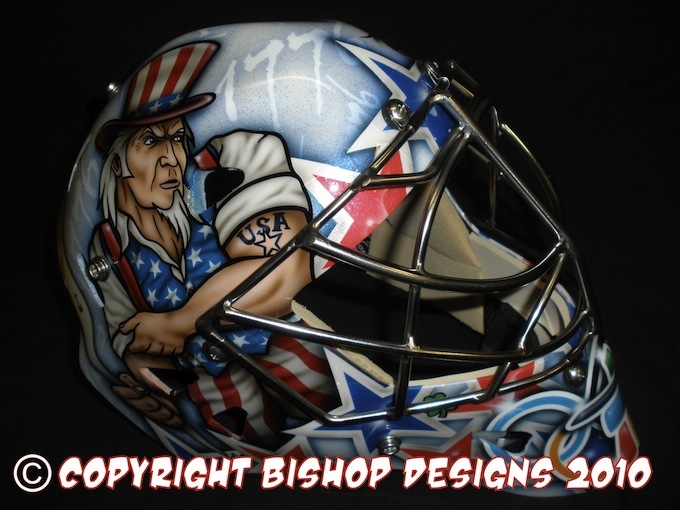 This is a home run mask and another one to add to a long line of really neat goalie headgear with patriotic flair. It’s not much of a surprise that Miller wanted to stick with a similar design from 2010. En route to MVP honors, Miller’s performance in 2010 was one of the best performances by an American goalie in the history of the Olympics, so nothing wrong with sticking with what works. Now the only question is, will Miller win the starting job as Jonathan Quick has looked much improved since coming back from injury. We’ll find out soon, but that decision might be a little tougher than it was two weeks ago.